We focus on delivering high quality & effective pest control services to all our customers. With service-oriented mind-sets, our team of NEA certified technicians have all the qualified skills & expertise to help protect your home or business from the complications of pest infestations. 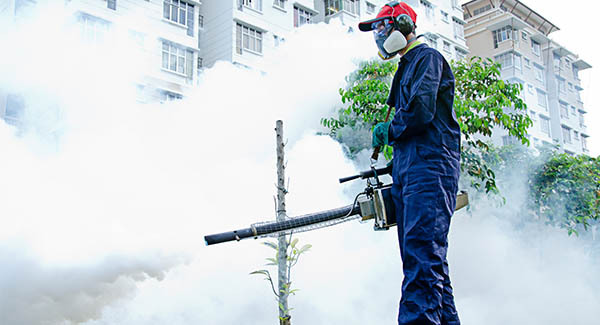 Our comprehensive range of pest control services include mosquito, bedbugs, fleas, ticks, cockroaches, snakes, rodents, ants, termites, flying insects of many varieties and bird control & prevention. At the forefront of pest baiting & treatment techniques, we offer support in all related aspects of health & safety, housekeeping and proactive prevention measures. 1.Mosquito are insects with mouthparts modified for piercing the skin and sucking blood (female only). 2.Ectoparasite (or external parasite) is a parasite that attaches itself to the outer skin of their hosts. 3.Termites are small, soft bodied, usually pale coloured insects that feed on wood or other vegetable materials. "Thanks to ProServ, my pest problems at my office are resolved effectively, thumbs up to your great team." 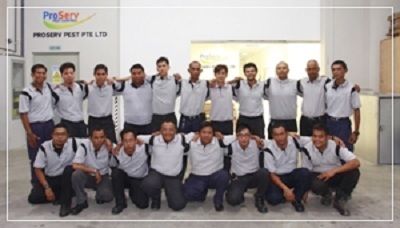 "your technicians are very professional, experiened and they are arrived at my place on time. "